Metal buttons set in Photoshop PSD format. Black and silver colors with a lot of different patterns. Circle shape buttons with rounded corners. Ideal for website usage. Check also Photoshop PSD web buttons and glossy buttons sets. A modern looking play button in PSD format. Brushed metal style graphics in a shiny black and silver colors. A nice button for web players. Check also music control buttons post, multimedia buttons set. A very nice looking web buttons set ready for download. Various patterns (metal, abstract, nature) with a lot of color themes (black, blue, red, green, etc.). Edit PSD source, put your titles and make your own web 2.0 buttons. If you liked these buttons feel free to check the glossy buttons, one more buttons set with a cool glossy style. 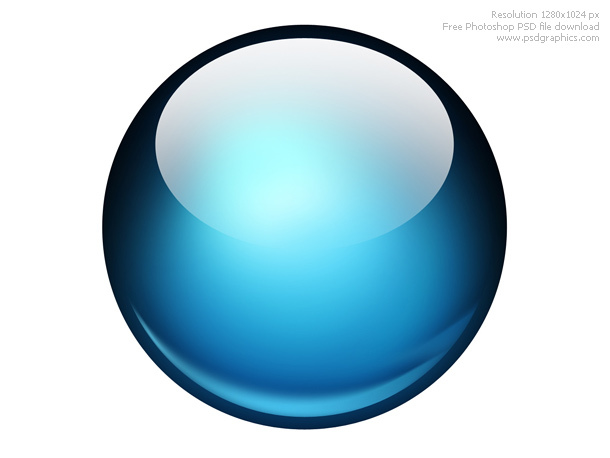 Beautiful glossy ball graphics on white background. Photoshop icon in a three shiny color variations, blue, red and green. Created with a circle shape, radial blur, and brush tool. Cool graphics set for designers, add your symbol on it and make a glossy icon or button. 20 glossy buttons made in Photoshop for your web projects. PSD file includes editable layers, blue, green, red, yellow, black, and gray colors. Each one is in a separated folder, add your text.